Find everything for your weekend recreation plans. From sport boats to jet skis, snowmobiles and ATV's, you'll find the Wichita area's best motor sport dealers. 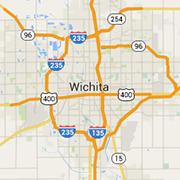 Providing RV rentals to Wichita and the surrounding areas. All of our rentals are brand new units, and none of them say "Rent Me" or "Rental" on them.